Tinnitus (TIN-ih-tus) is the annoying sensation of hearing sound when no external sound is present. It is often referenced as “ringing in the ears”, but the noise can also sound like buzzing, chirping, clicking, whooshing, or roaring. 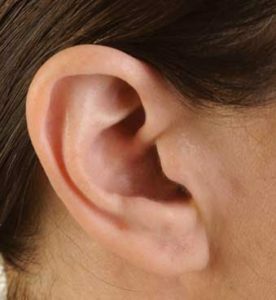 Tinnitus is a very common disorder and may be intermittent, constant or fluctuant, can be mild or severe, can vary in pitch, and may be present in one or both ears. In some instances, the sound can be so loud it can interfere with your ability to concentrate, sleep, or to hear actual sound. Tinnitus can be a symptom of an underlying condition, such as hearing loss, an ear injury or a circulatory system disorder. A number of health conditions can cause or worsen tinnitus. In many cases, an exact cause is never found, but a common cause of tinnitus is related to inner ear damage. Tiny, delicate hairs in your inner ear move in relation to the pressure of sound waves. This triggers ear cells to release an electrical signal through a nerve from your ear (auditory nerve) to your brain. Your brain interprets these signals as sound. If the hairs inside your inner ear are bent or broken, they can “leak” random electrical impulses to your brain, resulting in tinnitus. Age-related hearing loss (Presbycusis). For many people, hearing declines with age, often beginning around age 60.
. Loud noises, such as those from heavy equipment, chain saws, firearms, and even music are common sources of noise-related hearing loss. Tinnitus caused by short-term noise exposure, such as attending a loud concert, usually goes away, whereas long-term exposure to loud sounds can cause permanent damage.
. When too much earwax accumulates in your ear canal, it can become too hard to wash away naturally, resulting in a loss of hearing, or an irritation of the eardrum, which can lead to tinnitus. Ear bone changes. Stiffening of the bones in your middle ear (otosclerosis) may affect your hearing and can result in tinnitus. This condition, caused by abnormal bone growth, is often hereditary.
. Tinnitus can be an early indicator of Meniere’s disease, an inner ear disorder that may be caused by abnormal inner ear fluid pressure. TMJ disorders. Problems with the temporomandibular joint, the joint on each side of your head in front of your ears, where your lower jawbone meets your skull, can cause tinnitus.
. Head or neck trauma can affect the inner ear, hearing nerves or brain function linked to hearing. Such injuries generally cause tinnitus in only one ear.
. This noncancerous (benign) tumor develops on the cranial nerve that runs from your brain to your inner ear and controls balance and hearing. Also known as vestibular schwannoma, this condition generally causes tinnitus in only one ear. Blood vessel disorders linked to tinnitus. In rare cases, tinnitus is caused by a blood vessel disorder. This type of tinnitus is called pulsatile tinnitus. Medications. A number of medications may cause or worsen tinnitus. Generally, the higher the dose of these medications, the worse tinnitus becomes. Often the unwanted noise disappears when you stop using these drugs. Medications known to cause or worsen tinnitus include certain antibiotics, cancer medications, diuretics, and some antidepressants. **DO NOT discontinue any prescribed medications without consulting your doctor. Loud noise exposure. Prolonged exposure to loud noise can damage the tiny sensory hair cells in your ear that transmit sound to your brain. People who work in noisy environments — such as factory and construction workers, farmers, musicians, and soldiers — are particularly at risk. Gender. Men are more likely to experience tinnitus.
. Smokers have a higher risk of developing tinnitus. In many cases, tinnitus is the result of something that can’t be prevented. However, some precautions can help prevent certain kinds of tinnitus. Use hearing protection. Over time, exposure to loud noise can damage the nerves in the ears, causing hearing loss and tinnitus. If you use chain saws, are a musician, work in an industry that uses loud machinery or use firearms (especially pistols or shotguns), always wear hearing protection.
. Long-term exposure to amplified music with no ear protection or listening to music at very high volume through headphones can cause hearing loss and tinnitus. Take care of your cardiovascular health. Regular exercise, eating right and taking other steps to keep your blood vessels healthy may help prevent tinnitus linked to blood vessel disorders. For most tinnitus patients, there is no known cure, but there are various treatment options available that may provide some relief from the tinnitus. 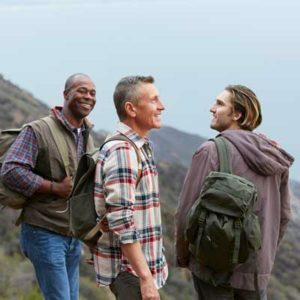 Because tinnitus is unique from person to person, it is best to consult your hearing healthcare provider to discuss appropriate options for your specific needs.